Maybe we should perhaps set up a couple more tournaments for the Arcade as I forgotten it was there on more than one occasion and so I think that this would create more activity there. Plus, they're also fun, my last tournament ended in disaster after I pressed the wrong key and died and so i'm determined to fight back. EDIT. Nevermind its working now. Anyone want a game of tetris? The mod has been installed and you can now create your own tournaments, have fun everybody! 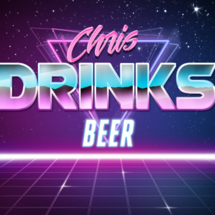 That's fantastic, thank you Chris, this should really liven things up a bit. I'm up for a game Nick. I've got nothin to do. Count me in. Just made a Sonic tourney, up for it Kiku? Wow, the highscores already set in the arcade are really really tough to beat, i'm having touble reaching the top 10 lol. Good to see lots of interest. You know it's going to end up You VS. Me. I'll play a few rounds, but I'll make sure you play your three first. Didn't know where else I should post this, maybe a new topic? You decide. Uh-oh! Who's the DL champion! ?